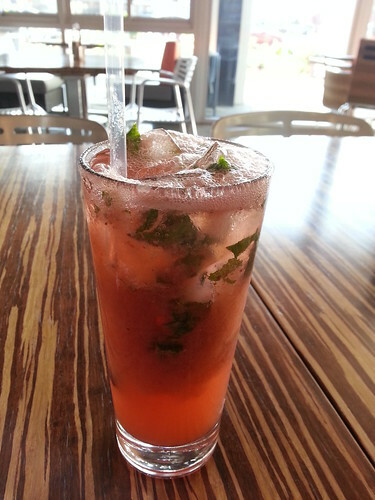 Strawberry-basil soda from Lyfe Kitchen. I’m kicking off my long holiday weekend reflecting on the recent updates by several of my SoMe networks, namely FB, G+ and Flickr, which isn’t a social network for me so much as a repository for photos to import into my blog posts. For a few weeks many of my timeline updates had disappeared to where I couldn’t view any posts or comments after April 21 on my computer. I tried both FF & Chrome browsers. However, I could see everything fine on my new Android smartphone’s FB app. I sent a couple of FB support requests but received no response. The only way for me to respond to timeline comments on my computer was to search through my notifications which made for a poor user experience. Good news is as of yesterday my timeline is back to normal. I still don’t know what broke it. I am now seeing benefits of the recent Google+ update. It’s a lot easier now for me to keep up with my circles. There’s still the issue of the more prolific plussers dominating the posts in any given circle. Because I care about their content enough to not want to delete them from my circles, my alternative is to put posters into a “high-frequency” circle and let them battle it out for my attention whenever I choose to click over to that circle. I’ve had issues trying to add people to my circles with the old layout. From my experience I get one chance to add people once I read the notification that they’ve added me. Once I view an aggregated notification that several people have added me it’s very tricky to go back to the notification to view recent adders beyond the first 2 or 3 people. Perhaps that will change with the recent update. Until then the name of the game is to interact with me on the posts you can see. The more you do that the more I see your stunning personality to best place you appropriately in my circles. This is a helpful piece for learning what has changed on the new Flickr redesign: PRESTO CHANGE-O! Have you adjusted to recent changes on your preferred social media services?